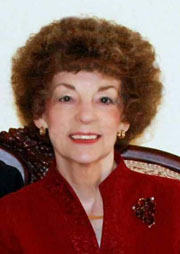 Donna Fletcher Crow is author of more than thirty-five novels. She has twice won first place in the Historical Fiction category from the National Association of Press Women, and has also been a finalist for "Best Inspirational Novel" from the Romance Writers of America. She is a member of The Arts Centre Group and Sisters in Crime. Find out more at www.donnafletchercrow.com. Felicity Howard, a young American studying for the Anglican priesthood at the College of the Transfiguration in Yorkshire, is devastated when she finds her beloved Fr. Dominic bludgeoned to death and Fr. Antony, her church history lecturer, soaked in his blood. Following the cryptic clues contained in a poem the dead man had pressed upon her minutes before his death, she and Fr. Antony—who is wanted for questioning by the police—flee the monastery to seek more information about Fr. Dominic and end up in the holy island of Lindisfarne, former home of Saint Cuthbert. Their quest leads them into a dark puzzle...and considerable danger. 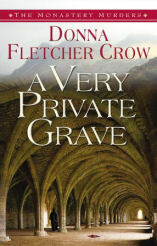 If you would like to read the Prologue and first Chapter of A Very Private Grave, go HERE.